This app will add a product compare feature to your online store. It allows customers to add products to a list for comparison. 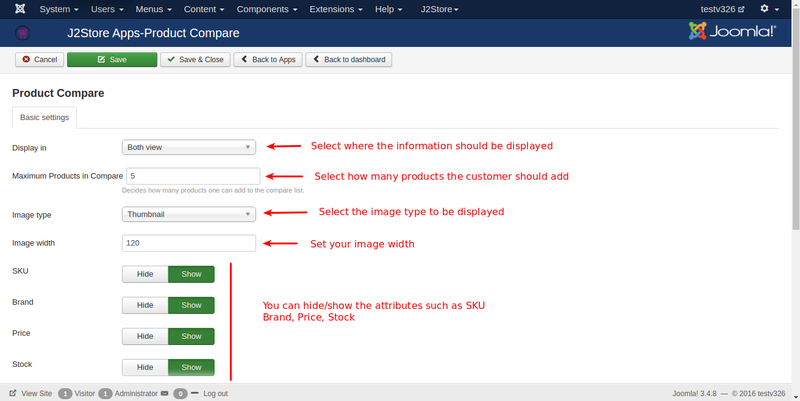 Customers can view the products and compare their features in a neat table. Use the joomla installer to install the app. 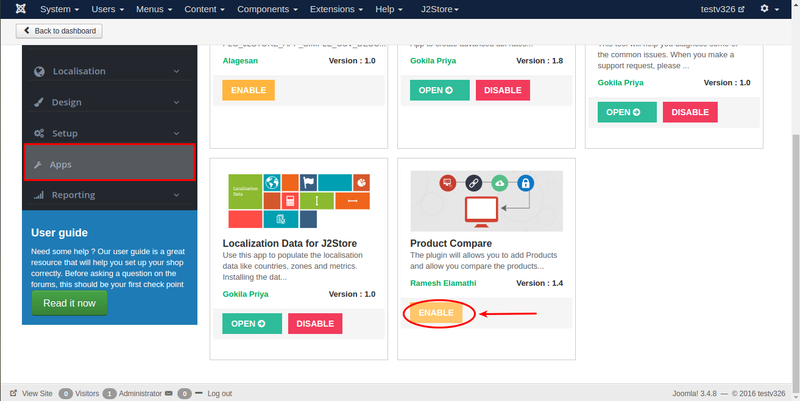 In the backend, go to J2Store Dashboard -> Apps as shown in the image below. Click Enable in the Product Compare app. 4. Once the app is enabled, click an open to setup the configuration. Display inSelect where the Add to compare should display. You can select any one of the three options available(Product view only, category view only, Both view). Maximum Products in CompareSelect how many products the customer should add into the compare list. Image typeSelect image type here will be displayed in the frontend comparision view. Image widthSet your image width in pixel. By default we have set to 120px. Please refer the below image. You can hide/show the following attributes. Show success message after item addedSet SHOW will display the message once the item added into the compare list. 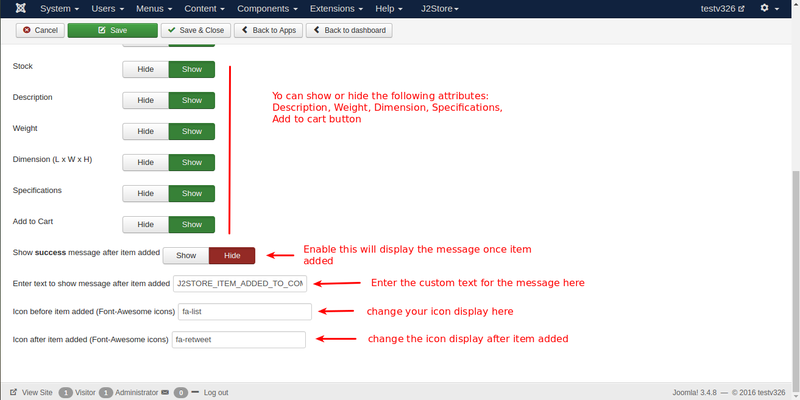 Enter text to show message after item addedYou can enter the custom text for the message to be displayed. You can enter a language constant as a value here if you are using a multi-lingual site and then write a language override. Icon before item added (Font-Awesome icons)You can change the icon to be displayed before item added to compare. Icon after item added (Font-Awesome icons)You can change the icon to be displayed after item added to compare. Thank you for using our extension.